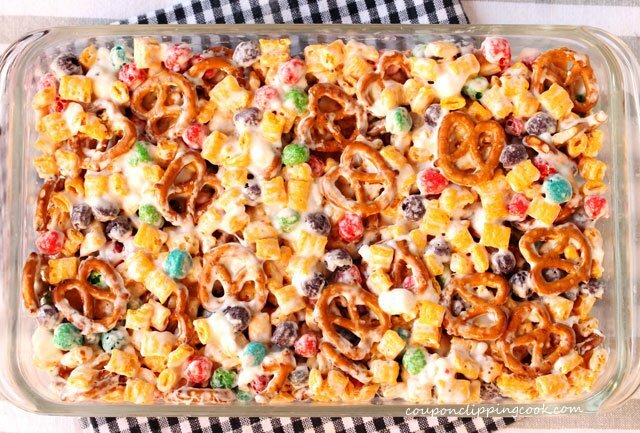 No milk needed for this cereal, just melted ooey gooey marshmallows, pretzels and butter. 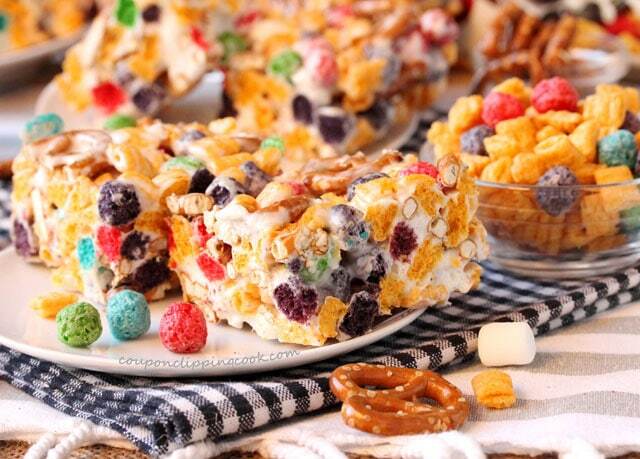 These krispie treats are all about sweet, salt, sticky, crunch and repeat. 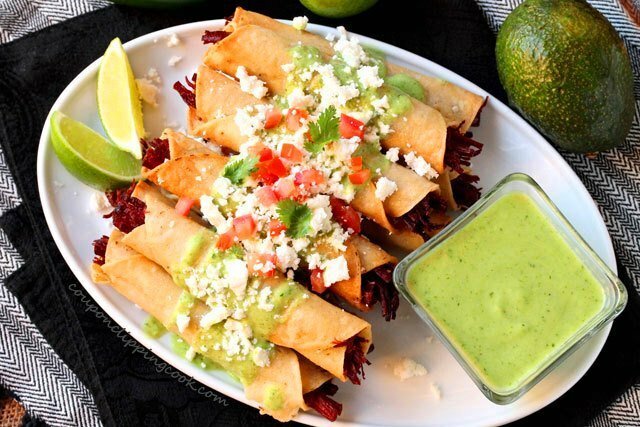 They’re the ultimate finger food that’s perfect for get-togethers and parties, or just because. 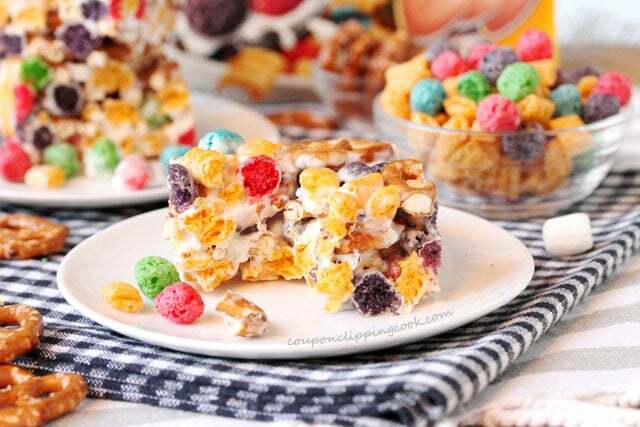 I love how pretty the Crunch Berries are in these krispie treats especially on the sides when they’re cut into squares. 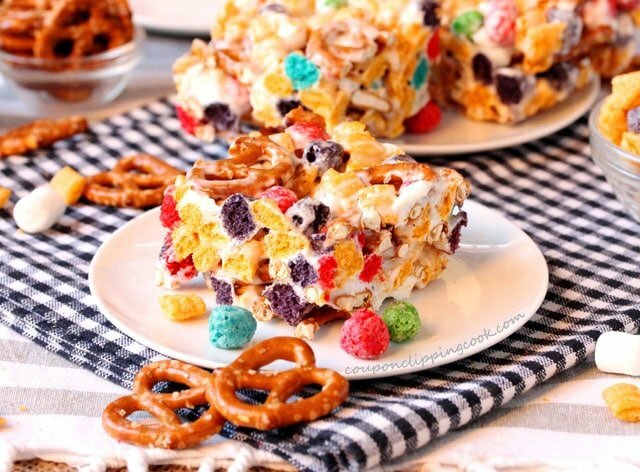 In this recipe the marshmallows are melted where they turn creamy but still have some unmelted marshmallows left which adds random bright white marshmallow pieces within the krispie treats that nicely contrasts with the bright colors of the cereal. And they taste pretty darn good too. 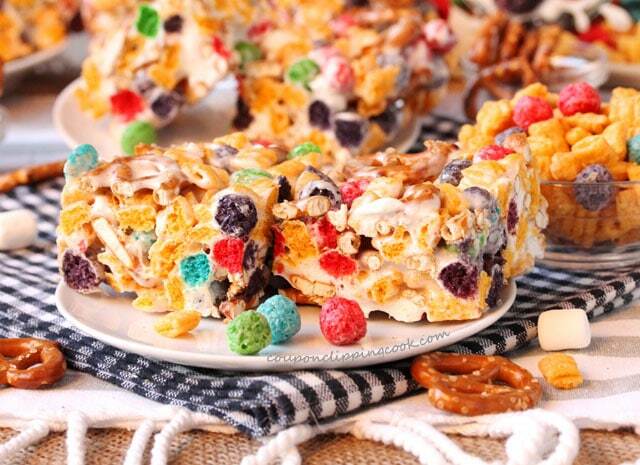 Cereal and pretzels never tasted so good as when they’re made into krispie treats. 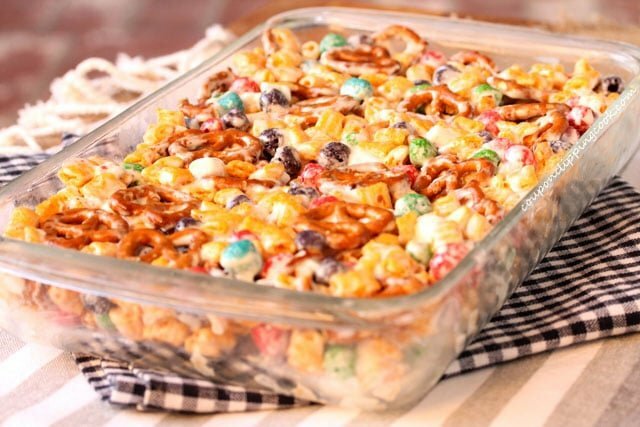 Grease the bottom and all sides of a casserole dish with butter (13 x 9 x 2- inch casserole dish). Set aside. pretzels. 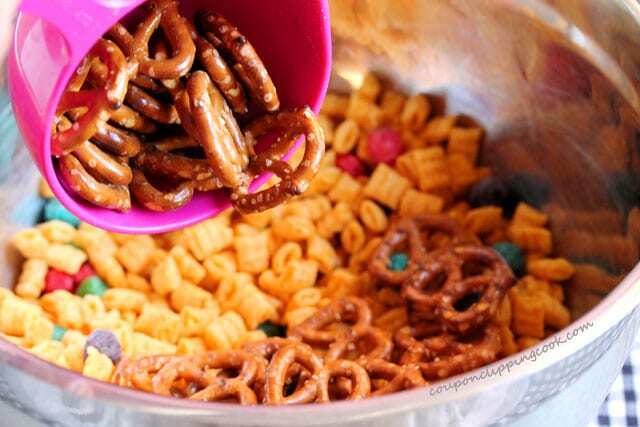 Gently mix the cereal and pretzels together and set aside. 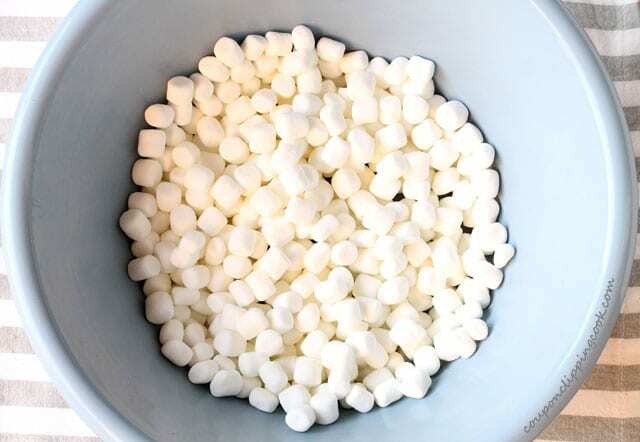 Heat the bowl of marshmallows in the microwave for just 30 seconds. 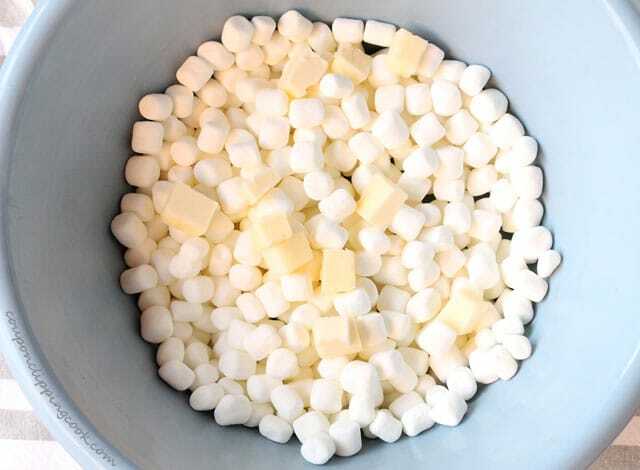 With a large sturdy spoon, give the marshmallows a quick stir (they will be sticky). 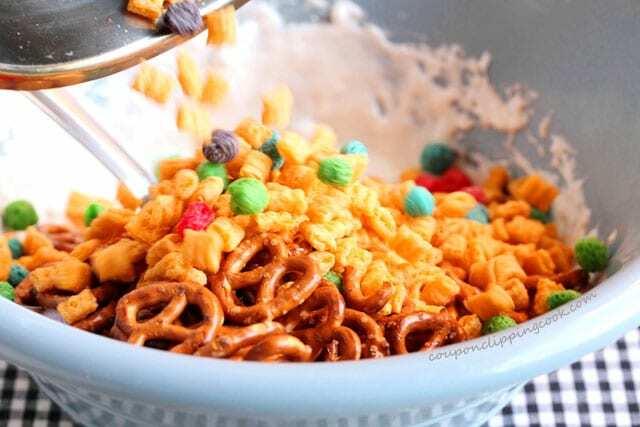 Then put the bowl of marshmallows back in the microwave and heat them for another 20 seconds or just until they’re almost creamy but still have some marshmallow lumps in them (the small pieces of unmelted marshmallow add a nice contrast to the colorful cereal and pretzels). 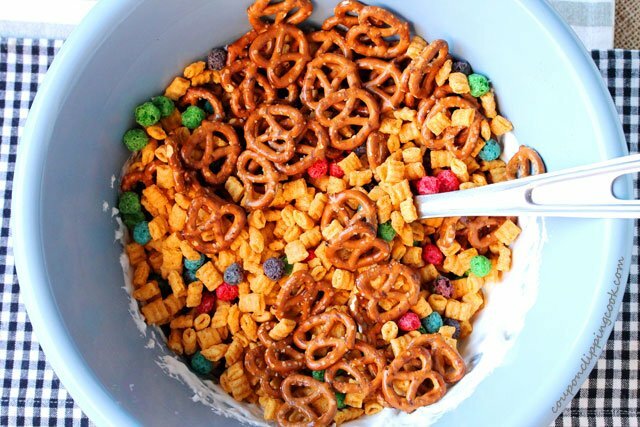 …add the cereal and pretzel mixture. 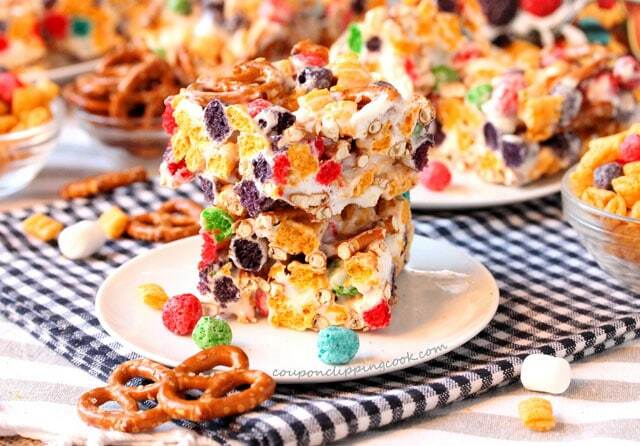 gently mix together until the cereal and pretzels are coated with the melted marshmallows. Transfer the mixture into the greased casserole dish. 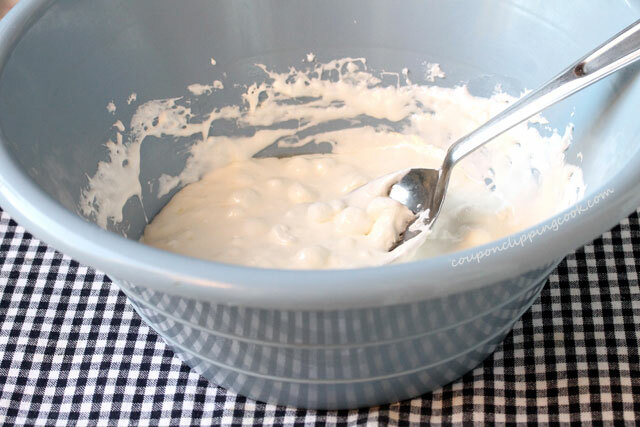 Use a buttered spatula, wax paper, or add water to your hands and fingers. 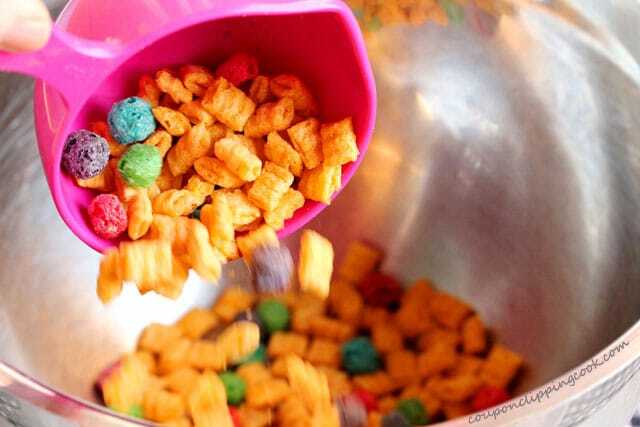 Then gently press the mixture evenly into the dish so that it’s lightly compressed on the bottom and all sides. 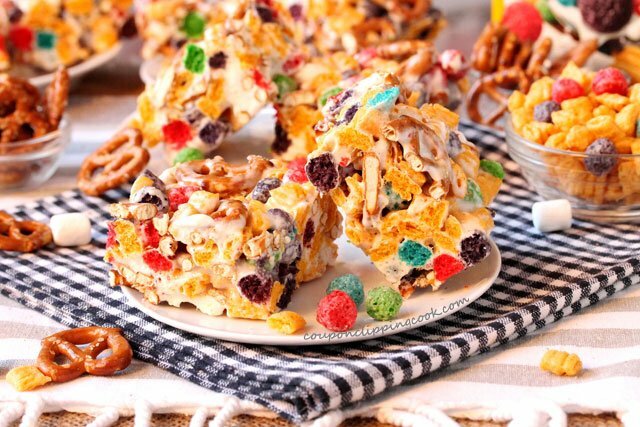 TIP – Don’t press directly on the pretzels or they could break; the more whole pretzel twists there are the better to add garnish on top if each krispie treat. Let cool completely. If pressed for time, chill in the refrigerator to speed up the cooling process. Cut evenly into 12 squares. …it’s time for the chef to do a taste test and sample the goods. 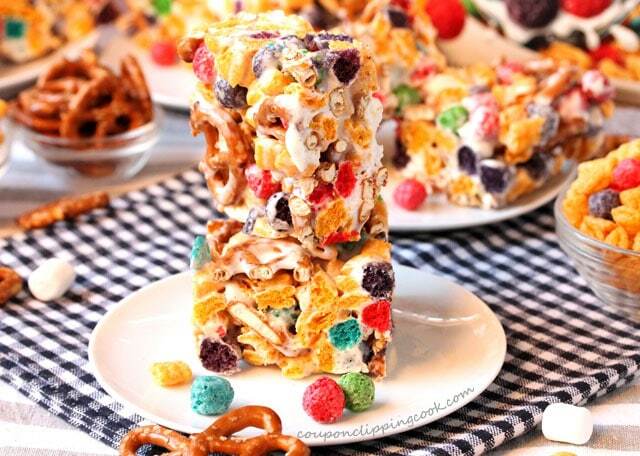 …or a snack any time of the day. 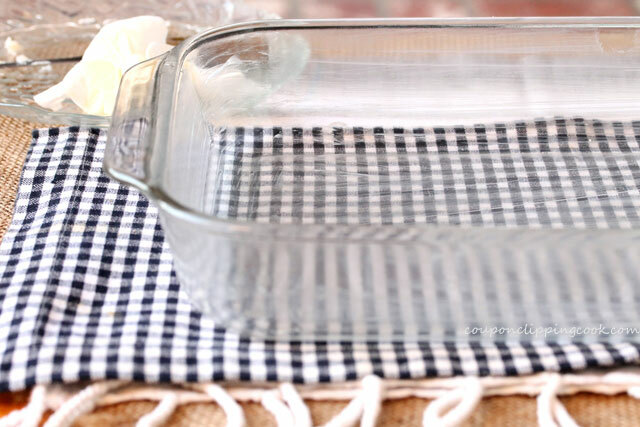 Grease the bottom and all sides of a casserole dish with butter (rectangular; 13 x 9 x 2-inch casserole dish). Set aside. 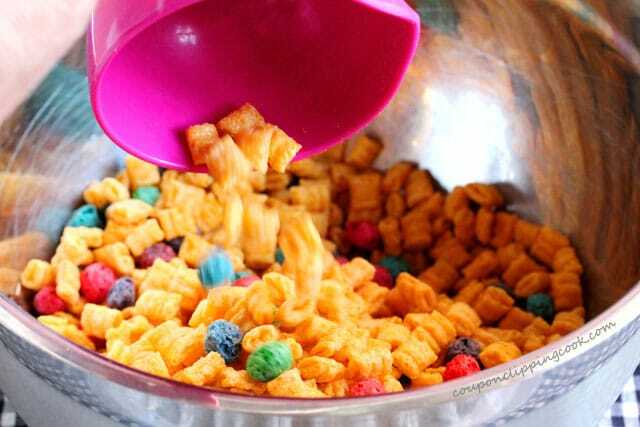 To a large bowl, add the Captain Crunch with Crunch Berries cereal and pretzels. 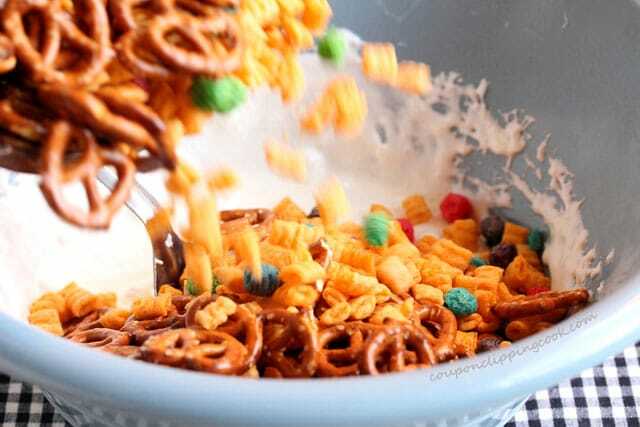 Gently mix the cereal and pretzels together and set aside. 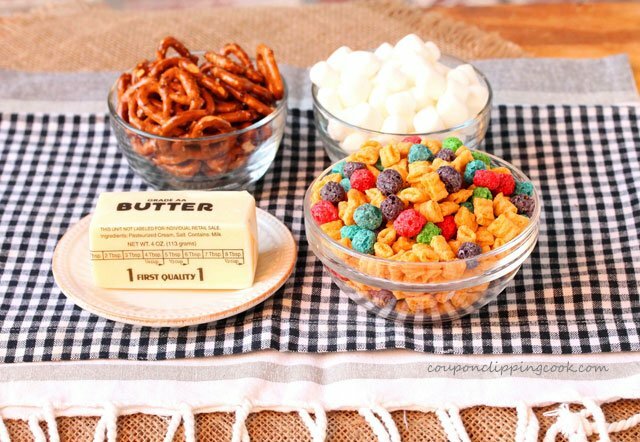 To a large microwavable bowl, add the marshmallows and butter. 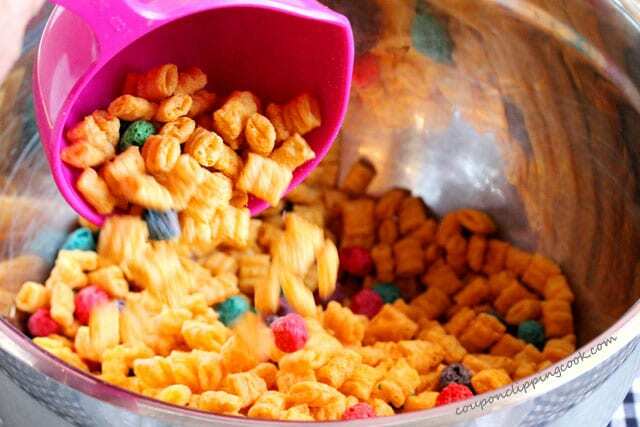 Heat the bowl in the microwave for just 30 seconds. 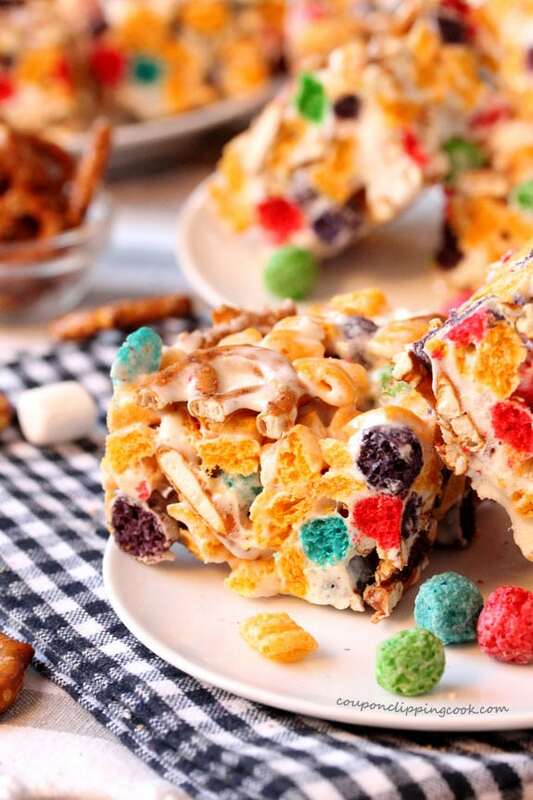 With a large sturdy spoon, give the marshmallows a quick stir (they will be sticky). 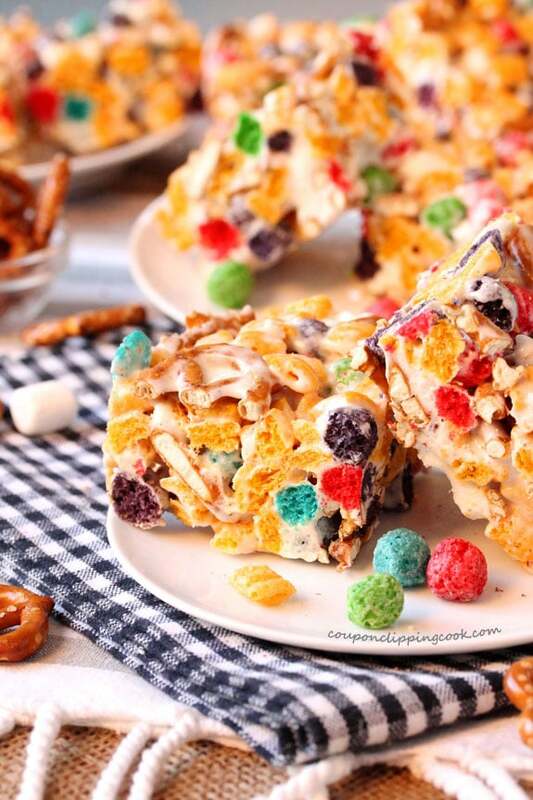 Put the bowl of marshmallows back in the microwave and heat for another 20 seconds or just until they're almost creamy but still have some marshmallow lumps in them (the small pieces of unmelted marshmallow add a nice contrast to the colorful cereal and pretzels). 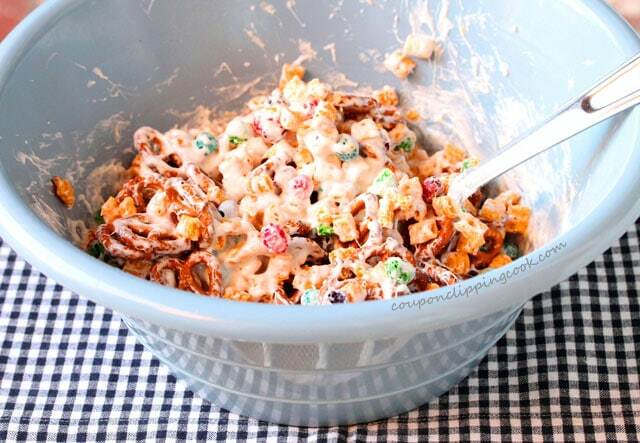 To the bowl with the marshmallows, add the cereal and pretzel mixture. 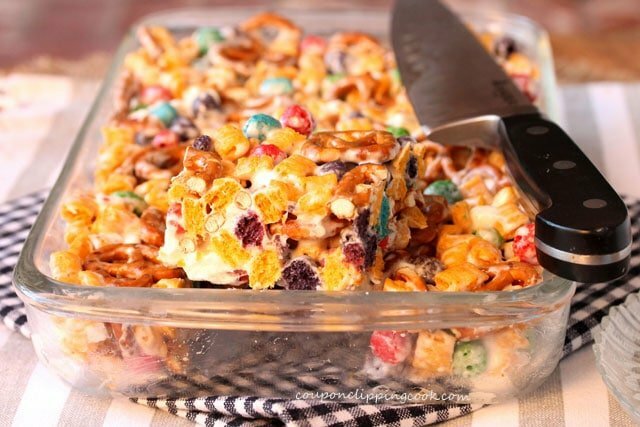 With a large sturdy spoon, gently mix together until the cereal and pretzels are coated with the melted marshmallows. Transfer the mixture into the greased casserole dish. 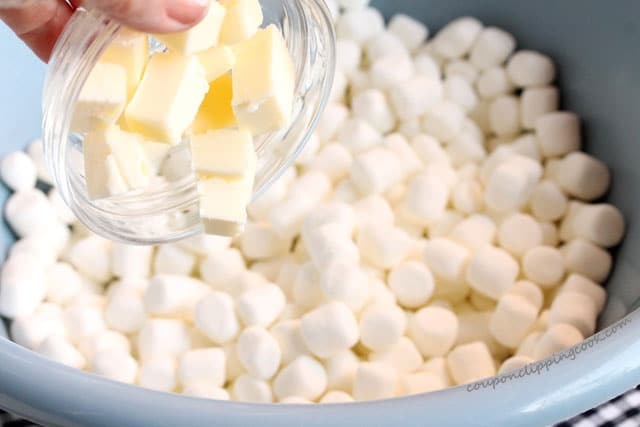 Use a buttered spatula, wax paper, or add water to your hands and fingers to gently press the mixture evenly into the dish so that it's lightly compressed on the bottom and all sides. 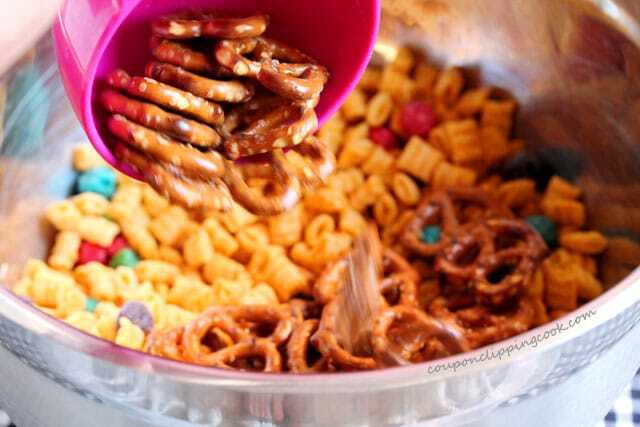 Don't press directly on the pretzels (so not to break them). 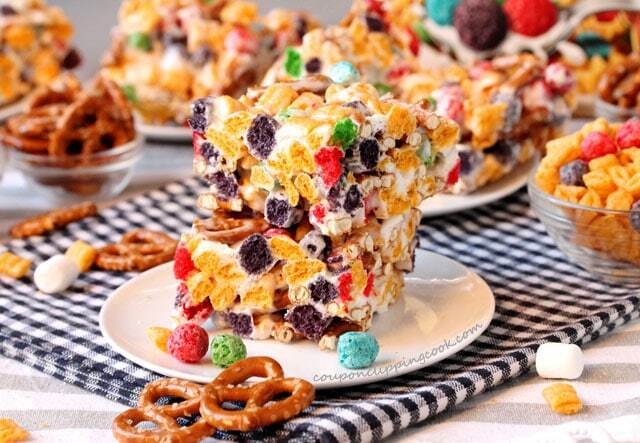 Cut evenly into 12 squares and serve. 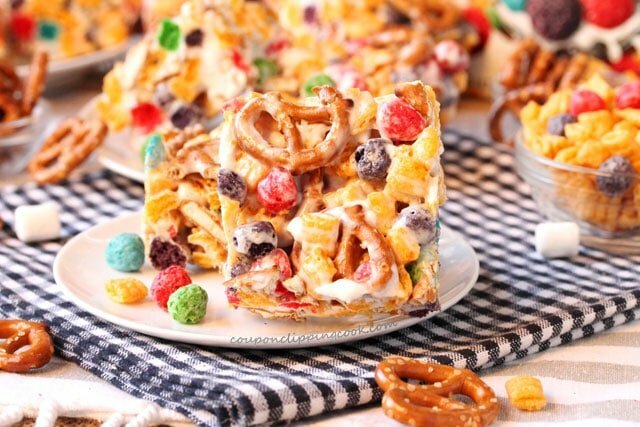 Don't press directly on the pretzels or they could break; the more whole pretzel twists there are the better to add garnish on top if each krispie treat. 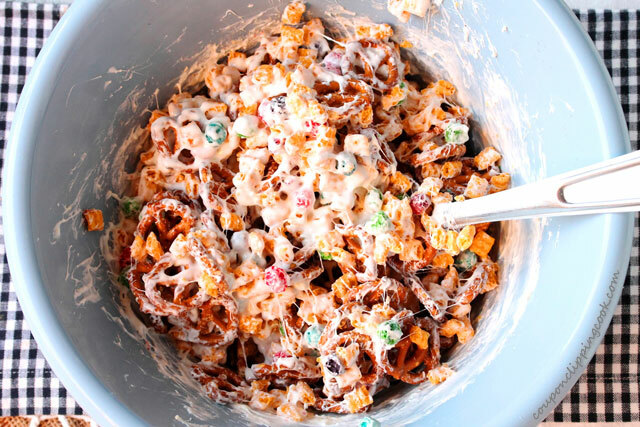 This recipe was originally posted on December 15, 2017. Great post. Its looks great. I bet it taste great.